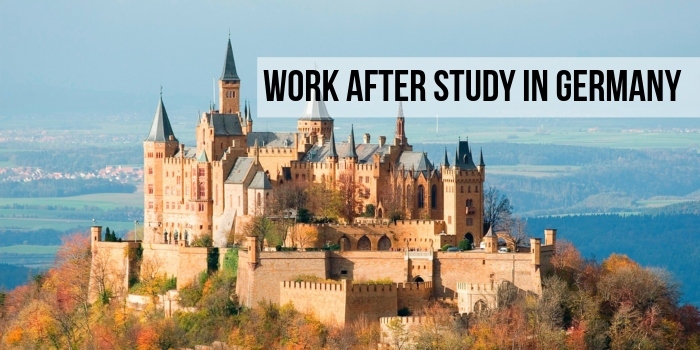 Work after Study in Germany: A large number of international students stay back after completing their graduation and pursue work after study in Germany. Some even hope to stay in Germany permanently after completing their studies. Such positivism emanates from the fact that Germany has a very accommodating work after study program for international students. But to take advantage of this opportunity, students need to be familiar with the policies and visa rules under which they can work after study in Germany. One particular aspect of education in Germanyis upon completion of any program at the top German universities, the student’s residence permit also expires automatically even if it was originally issued for a longer period of time. This means that a candidate has to apply anew at the Foreigners' Registration Office requesting an extension of his or her residence permit so that the candidate can avail opportunities for work after study in Germany. In order to avail of various opportunities for work after study in Germany, students need to apply before the residence permit for the duration of education in Germany expires. This means that candidates generally apply for a German residence permit in the final year of education in Germany. With a German residence permit, candidates have the freedom to explore employment opportunities and career possibilities in the country. Acquisition of a German residence permit for work after study in Germany is essentially a two-step process where the first step involves a temporary German residence for the duration of job hunting done by the candidate after education in Germany. The second step involves a German residence permit or an EU Blue Card issued after the candidate secures employment in Germany. Germany offers a residence permit for work after study in Germany for non-EU students in order to enable them to look for jobs and establish a career after education in Germany. This German residence permit is open for application for students pursuing pedagogical programs at any of the German universities and is known as Step 1 of the German residence permit process. In order to apply for this German residence permit, candidates must approach their local foreign nationals’ registration office which will be the issuing authority for the German residence permit. The German residence permit for work after study in Germany which is issued to students who have completed education at one of the German universities and are still looking for employment opportunities have a total validity of 18 months. Throughout this duration, candidates may take up any kind of employment to financially support their duration of stay after education in Germany while they search for a job which matches their educational and professional qualification. Both of these residence permit for work after study in Germany options have different benefits and the candidate should select either after significant consideration. Essentially, the difference between the two is that the German residence permit limits a candidate’s opportunities to Germany whereas with an EU Blue Card, candidates can move around the various constituent EU countries and avail an even greater number of employment opportunities. On the other hand, for long-term opportunities in Germany, the German residence permit is a better option over an EU Blue Card. A university degree. In case the degree is yet to be awarded, candidates can submit an official document from the university certifying successful completion of education in Germany. In the situation that a candidate has returned to his or her country of origin after education at any of the German universities, then the candidate will not be able to avail the benefits of Step 1 of the German residence permit. Instead, candidates can apply for a 6-month visa during which the candidate can look for various job opportunities while staying in Germany. The visa conditions include that the candidate must hold a university degree at the time of application as well as have the financial resources to fund his or her stay in Germany. One major drawback of this visa over Step 1 of the German residence permit is that candidates cannot take up any form of employment for the duration of the visa and must instead apply for Step 2 of the German residence permit the moment he or she acquires a job in Germany. This is because the visa is only meant to help candidates find a job in Germany, and isn’t a work permit. Candidate must hold a work contract or job offer which is binding and pays a minimum annual gross salary of €49,600. There are exceptions for scientists, mathematicians and engineers, doctors and IT specialists, with the cap lowered to €38,688 per annum. Candidate must hold a tertiary education degree from any of the German universities. Apart from these domains, even candidates with vocational qualifications find it easy to get a job in Germany due to the high number of vacancies and employment opportunities available. Candidates who want to stay in Germany after completion of education from any of the German universities must immediately start looking for jobs upon completion of university exams. Figuring out how to find a job in Germany corresponding to one’s educational qualifications is easy if the candidate has completed education from a STEM course. 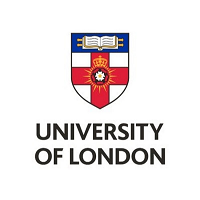 The normal course of action calls for the recruitment of university services for employment or approaching a local employment agency to secure job opportunities. A delightful aspect of pursuing education in Germany is that most German universities have dedicated career counselling departments which provide help and guidance to students in the professional world.